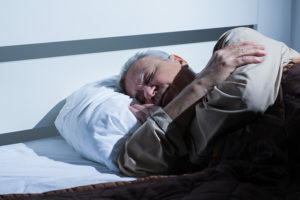 Many older adults have difficulty sleeping at night. They may not be able to fall asleep or may have interrupted sleep. Not sleeping well can have negative effects on your older family member’s health. It may cause weight gain and affect brain function. Fortunately, there are several ways to improve a senior’s quality of sleep, such as the 4 tips below. Circadian rhythm is the body’s natural time clock. One of the things it does is tell the body when it is time to sleep and when it is time to be awake. Circadian rhythm is influenced by light, so spending more time in the sunlight or under bright lighting can signal the body that it is time to sleep when it is dark. A senior care provider can help your aging relative to spend time outside each day in the sunshine. When it is not possible to be outside, a senior care provider can set the senior in a chair near a window where the sunshine comes in or help them to sit near a lamp that simulates sunlight. Older adults who don’t sleep well at night should avoid napping during the day. However, for seniors who spend a lot of time alone and get bored during the day, it can be difficult not to nod off in a chair. Elder care can spend time with your aging relative during the day, offering them companionship and activities to stay busy. An elder care provider can keep the senior more active throughout the day so that they will feel tired at night. Sticking to quiet activities in the evening can help the body to wind down and prepare for sleep. Some quiet activities that can pass the time in the evening are listening to music, doing a jigsaw puzzle, and reading. Seniors should avoid using laptops or tablets because the light they emit can stimulate the brain. Senior care providers can ensure seniors switch to relaxing activities during the evening hours. If your aging relative enjoys reading but has trouble because of poor vision, a senior care provider can read to them. Many seniors lie awake at night worrying about all sorts of things. They may worry about being able to stay in their home if they become ill, suffering an injury when they are alone, or current health problems. Keeping these worries to a minimum can help older adults to sleep more easily. 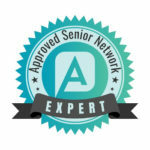 Senior care providers are an excellent way to alleviate your aging relative’s worries. A senior care provider can mean the difference between them being able to remain at home with a little help or having to move to a long-term care facility. And, having a senior care provider can reassure the older adult that they will always have the help they need, even if their health worsens.